Comprando este producto consigues 0,19 € con nuestro programa de fidelización. Tu carrito acumularía 0,19 € que podrás convertir en un vale de descuento. A Touch of Evil: Hero Pack 2 introduces four new Heroes to A Touch of Evil, each with a highly-detailed plastic miniature as well as the corresponding Hero Character Sheet on the same high-quality, glossy cardstock to match the rest. These four new Heroes include Sara, the Bright Witch; Jack Fellows, Privateer; Frederic Leon, the Foreign Diplomat from distant France; and Abigail Sturn, Student of the Occult, once just an Ally, now a playable Hero in her own right. Each new Hero has its own unique abilities and skills, making them a valuable asset on the hunt for the creature terrorizing Shadwbrook. 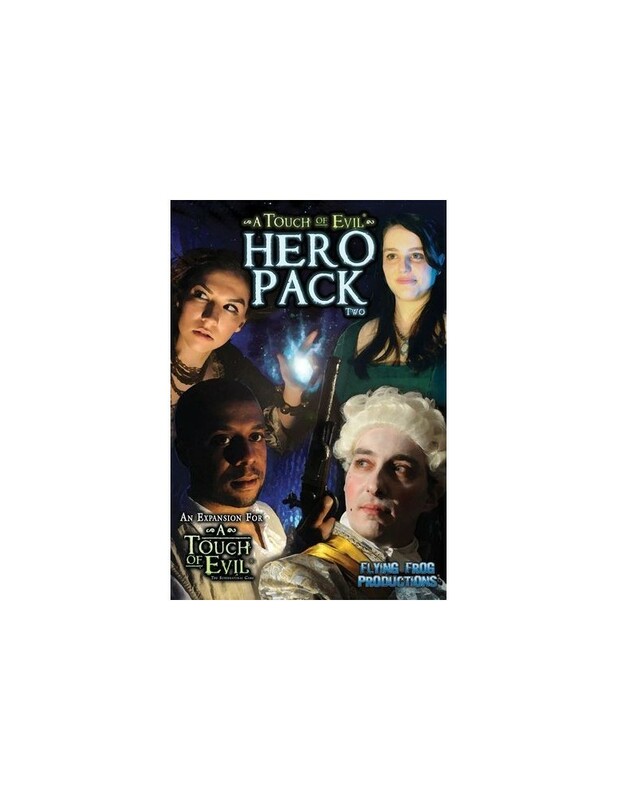 A Touch of Evil: Hero Pack 2 also features several New Game Cards and a new Villain to hunt.